People tend to illustrate data by visualization. When it comes to event about music, music infographics come into being. It really helps when people attempt to deal with things like a report on singing contests and assessment on instruments. Edraw infographics maker is a highly praised infographic drawing software. It contains plenty of music infographics templates, instrument clip arts, symbols and icons needed for music infographics. It also supports auto-alignment, auto-distribution and auto-layout, which can really get your task done easily. Further more, you are allowed to export your design to other formats like PNG, JPEG, PDF, PS, EPS, Html, SVG, etc. 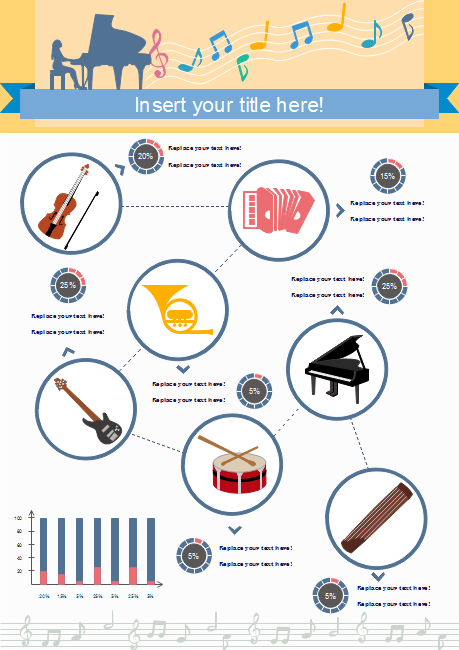 Click How to Design Music Infographics to see detailed steps. 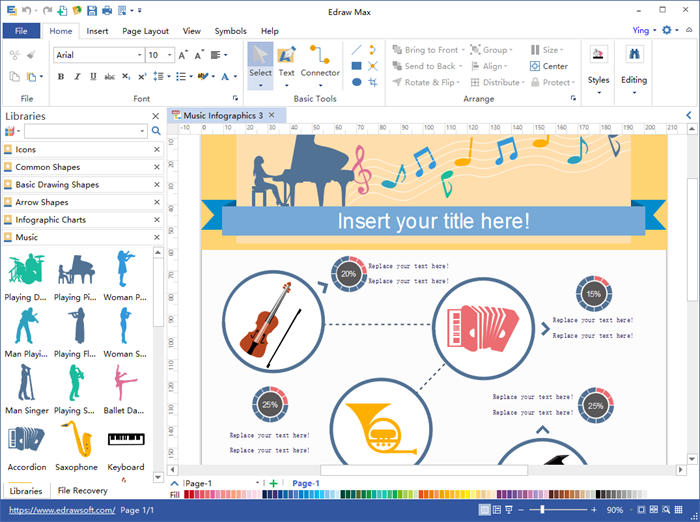 Edraw infographics maker contains almost all instrument clip arts and music-related symbols you may use to design a music infographic. All these clip arts and symbols can be resized without any damage on clarity. 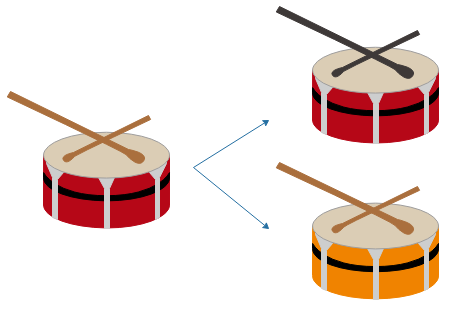 All the music infographics elements are editable. If you are not fond of the default style, change it. For instance, you can alter this clip art “Earth” by colors, fill, shadow and you can also change the size or rotate it. Unlike other infographic tools which are limited to the built-in shapes, Edraw also allows users to draw custom symbols when they have special requirements. With the embedded drawing toolkit, users can design any graphic they like at any time. 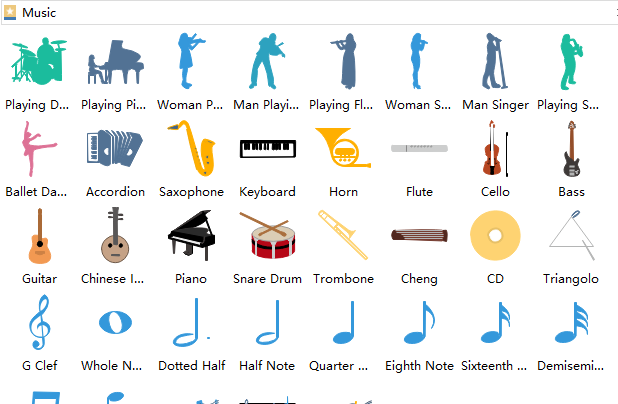 The program has many built-in music infographics templates and you can choose one of them for a quick start. Hence it only takes seconds to finish a music infographic. Besides music infographics, Edraw infographics maker also has infographics elements for medical, sport, weather, transportation, education, etc. It can satisfy all your needs to make any type of infographics.